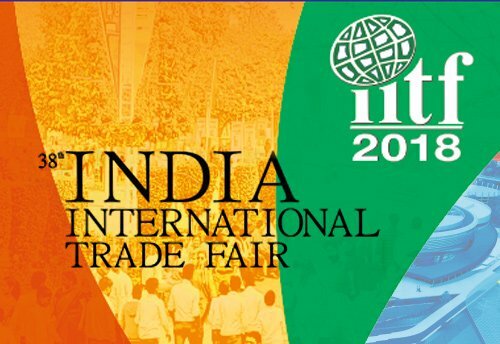 The 38th India International Trade Fair (IITF) began at Pragati Maidan here today. The 14-day annual event will continue till 27th of this month. This year the theme of the fair is Rural Enterprises in India. Afghanistan is the Partner Country, while Nepal will be the Focus Country. Jharkhand is participating as a Partner State in the event. Around 800 participants from States and government departments, domestic and international companies are taking part to showcase their product. With a view to provide a hassle-free visit of the fair, 50 per cent of the tickets will be sold in advance, while rest of the tickets can be purchased by the visitors on the same day from 66 metro stations. For general public, the trade fair will open from 18th to 27th of November. During public holiday, the price of the ticket will be 120 rupees for adult and 60 rupees for child. While during working days, the ticket charges will be 60 rupees for adult and 40 rupees for child.